CRO: an organization that provides support to the pharmaceutical, biotechnology, and medical device industries in the form of research services outsourced on a contract basis. 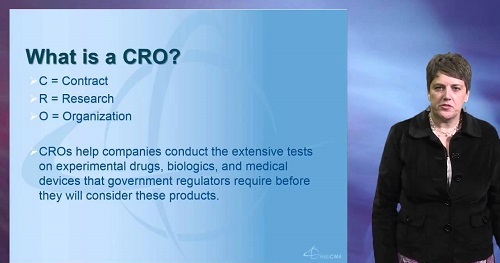 A CRO may provide such services as biopharmaceutical development, biologic assay development, commercialization, preclinical research, clinical research, clinical trials management, and pharmacovigilance. CROs provide a more affordable outlet for companies to pursue new medicines, and a cost-effective solution to develop drugs for even niche markets.